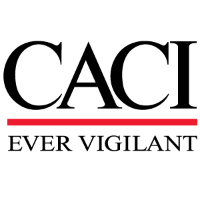 CACI is looking for a highly talented Project Integrator Northern, VA to join our organization to provide total system perspective including a technical understanding of relationships, dependencies and requirements of hardware and software components. The candidate will create drafts and/or reviews program documentation, generates formal review documentation, and participates in system and program reviews as well as coordinate reviews of project plans and identify inconsistencies. Additionally, the candidate will assist the project team in all aspects of the project process to identify contingencies, risk mitigation, and schedule slippage. The candidate will lead/run scrum meetings and assist in creating/tracking the teams' stories and tasks using Jira. The Candidate will monitor the progress of day to day development activities, reporting progress, impediments, and possible schedule impacts to the PM and management. - Demonstrated on-the-job experienced using Agile development methodologies. - Demonstrated on-the-job experience in project scheduling and project tools. - Demonstrated on-the-job experience with requirements gathering and definition, working with stakeholders; coordination and facilitation of meetings and technical discussions of requirements. Typically requires a Bachelor's Degree or equivalent, and 11+ years of related experience.